Here's a question. 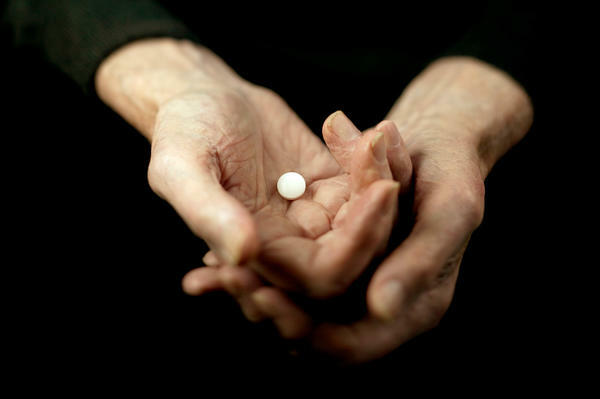 Can a daily baby aspirin be a kind of fountain of youth? People have been hoping so for years. A big new study has a surprising answer. NPR health correspondent Rob Stein has details. ROB STEIN, BYLINE: Aspirin has gotten the reputation as kind of a wonder drug. Sure, it can help your headache, but aspirin can also prevent heart attacks, strokes, maybe even cancer, maybe even dementia. So a lot of people pop a baby aspirin every day. ANNE MURRAY: A lot of people read, well, aspirin is good for people that have heart problems. Maybe I should take it. (Laughter) You know? Even if they haven't really had a heart attack. STEIN: That's Anne Murray at Hennepin Healthcare in Minneapolis. She says about 1/3 of healthy older Americans take a baby aspirin every day. But Murray says no one knows if that's really smart. MURRAY: For a long time, there's been a need to establish appropriate criteria for when healthy people, elderly people, need aspirin. STEIN: So Murray and her colleagues studied more than 19,000 older people who took either a baby aspirin or a placebo every day for about five years, and the results were surprising. MURRAY: We found there was no discernible benefit of aspirin on prolonging independent healthy life. STEIN: People who took aspirin had no better luck avoiding dementia or other disabling medical problems, and there were risks, big time - potentially life life-threatening bleeding. MURRAY: So the risks outweigh the benefits for taking low-dose aspirin in people who are otherwise healthy and haven't had a heart attack or a stroke. STEIN: There was even a hint people taking aspirin were more likely to die, mostly from cancer. That was especially surprising given the evidence that aspirin might prevent colorectal cancer. While that part may have been a fluke, Murray says the findings overall are disappointing. MURRAY: We were hoping that an inexpensive, very accessible medication might be something that we could recommend to elderly to maintain their independence but also decrease the risk of cardiovascular disease. So, yeah, it is a disappointment. STEIN: Now, a daily baby aspirin is still totally smart for many people who have had a heart attack or stroke or are at risk for one. But Evan Hadley at the National Institute on Aging says any healthy elderly people taking aspirin or thinking about it should really think twice. EVAN HADLEY: This gives pause and a reason for older people and their physicians to think carefully about the decision whether to take low-dose aspirin regularly or not. And in many cases, the right answer may be not. STEIN: Rob Stein, NPR News. Transcript provided by NPR, Copyright NPR.